I went this past weekend to view another Westsail. It was interesting looking at the differences. 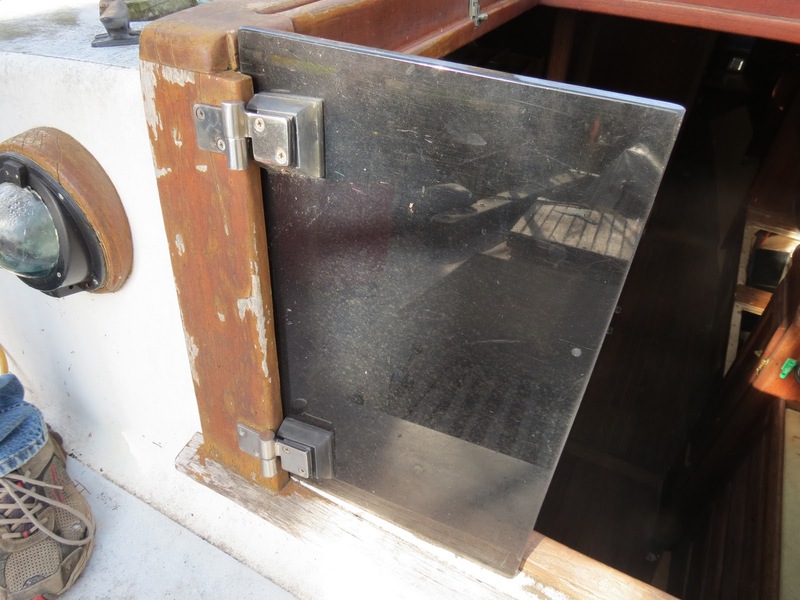 For instance it has these polycarbonate doors on the companionway that look really neat. And now I know what a real dynaplate should look like. 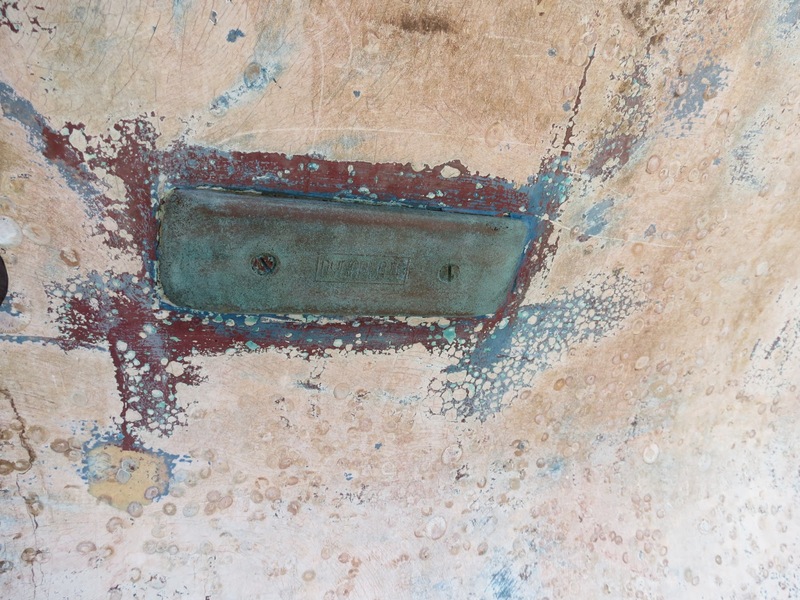 Mine are corroded away. These little babies for your SSB are $600 a pop! 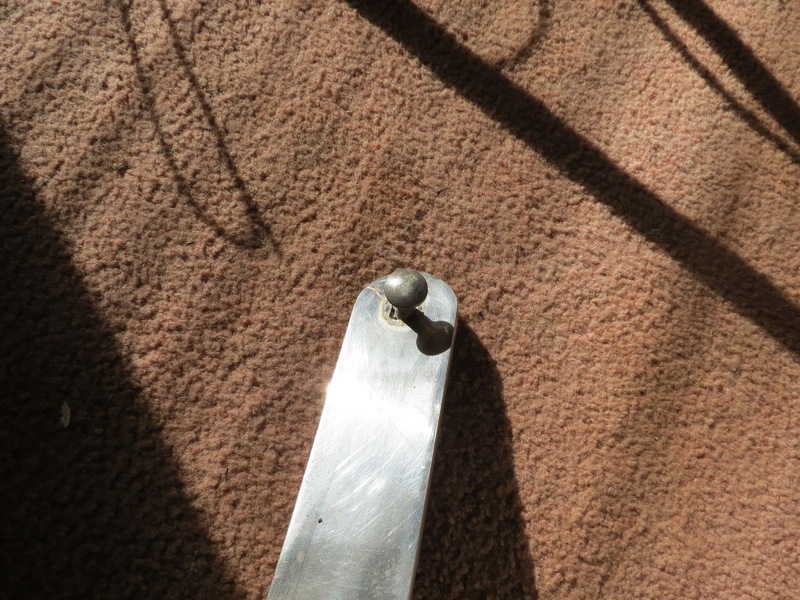 Take a look closely at this next photo of the chainplate in the top left side. You can just see a crack in it. Now I know what to look for on mine.